Set of 4 22" trailer wheels with inner and outer wheel rings. Use AMT/Ertl or Plaskit 22" tires. 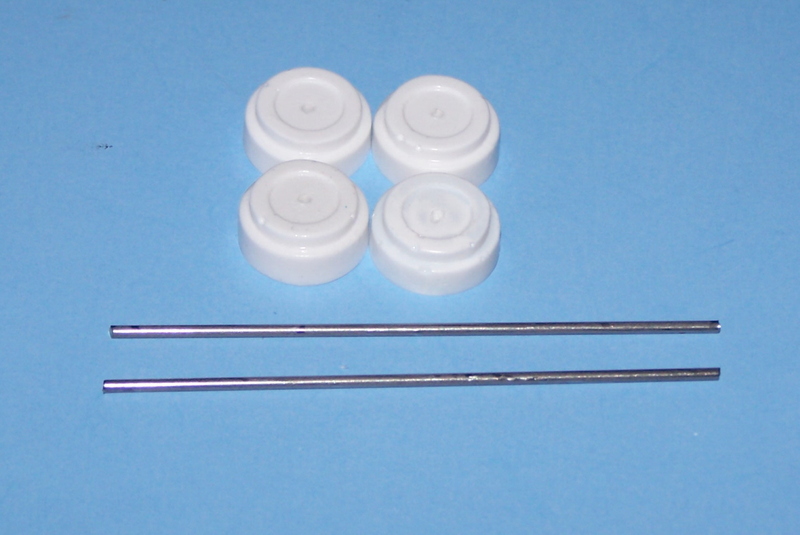 Resin cast brake drums and metal axles. Includes 4 brake drums, 2 metal axles, 2 20" inner rims and wheel spacers. 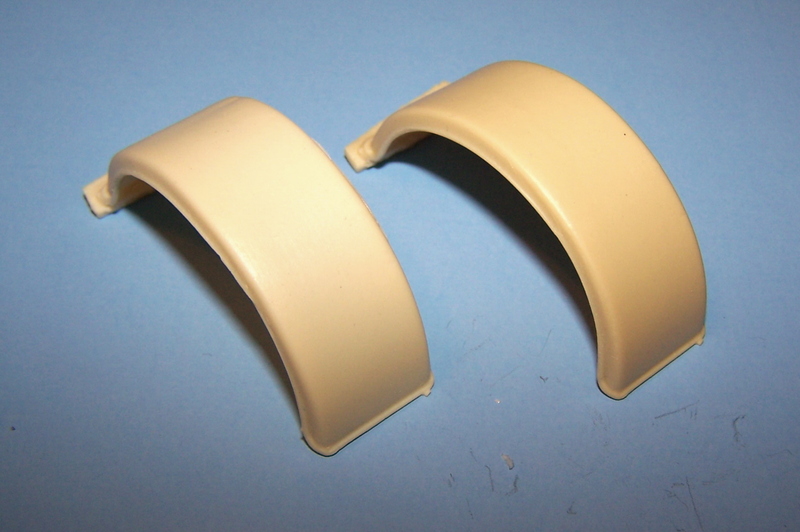 Use with Plaskit TS101A, TS102B or other axle housings requiring metal axles. Includes 4 brake drums and 2 metal axles. 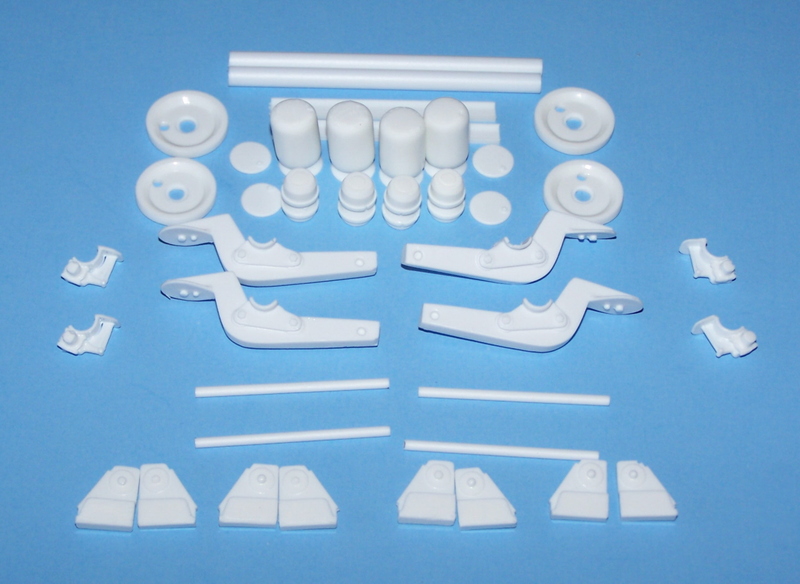 Set of 2 complete air ride suspensions and axles with brake chambers, cam tubes, slacks and backing plates. 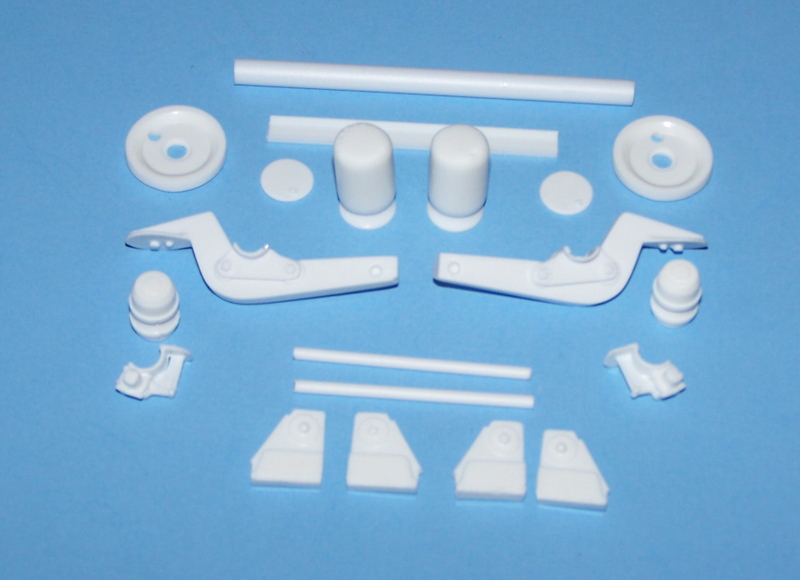 See Plaskit TS999A or R297 for drums and metal axles. 1 complete air ride lift axle for use on trailers. includes axle, suspension arms and brackets, air bags, brake chambers, cam tubes, slacks and backing plates. 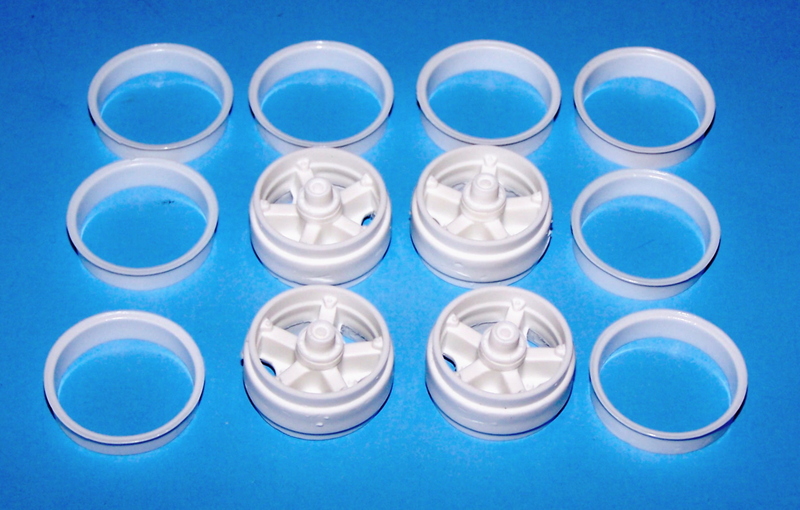 3 spoke wheels for use on Low-Boy trailers. 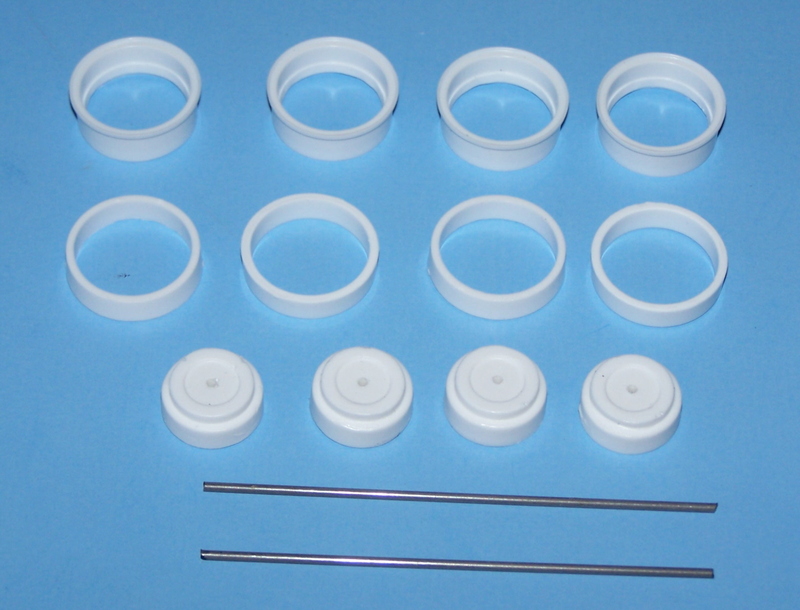 Wheels measure 16.5mm dia. Includes 2 wheels and 4 tires. 1 axle set. updated photo to come. 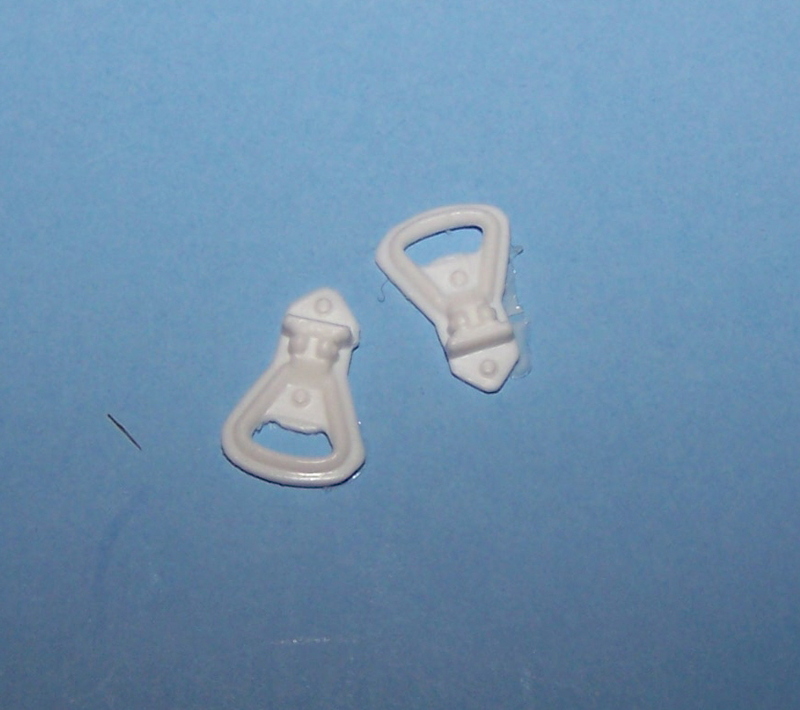 Set of 2 suspensions (1 axle set) for under-slung axle. Includes folding rear ramps and ramps to upper deck on drop deck trailers. Designed for Auslowe drop deck trailer kits. Can be modified for other trailers. 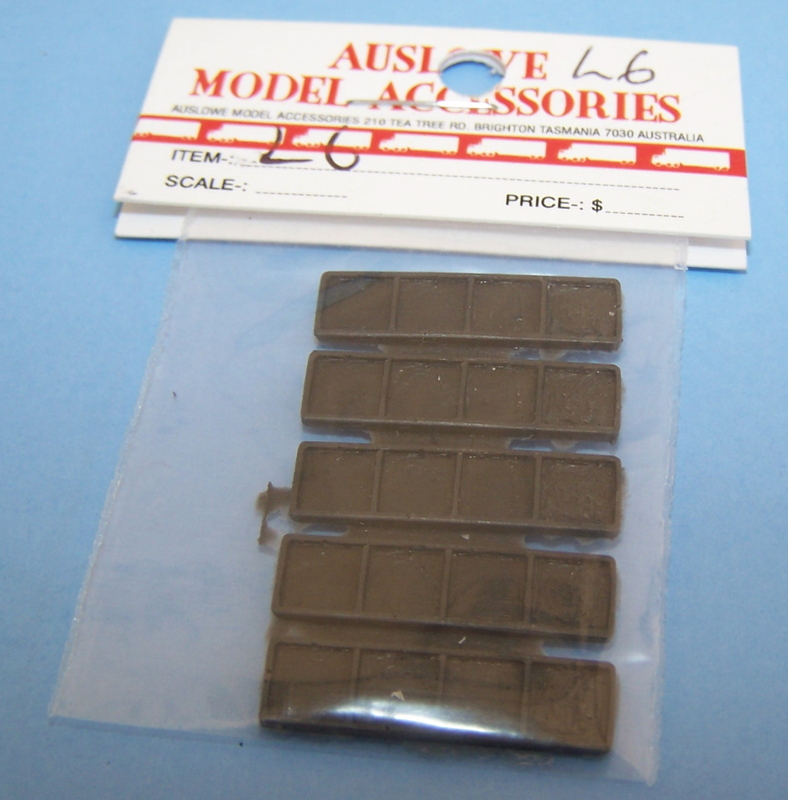 Set of 6, "gaskets" that mount 4 tail lights each, see Auslowe L4 for tail lights. Can be cut apart for individual use. 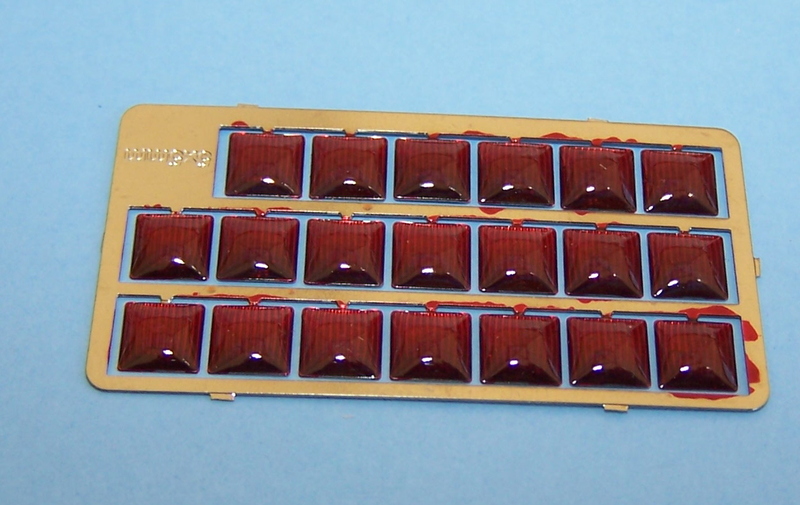 Set of 20, 5mm square translucent tail lights on a photo etched base, see Auslowe L6 for mounting rubbers. 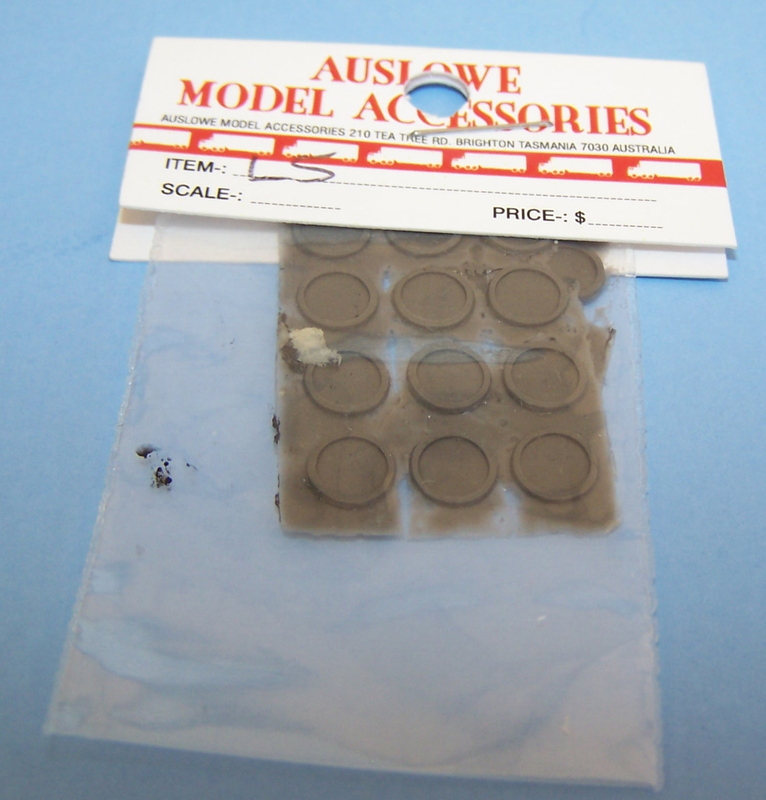 Set of 18 rubber tail light mounting "gaskets" for 5mm round lights, see Auslowe L3, Palskit M122C, M122R and kit lights measuring 5mm. 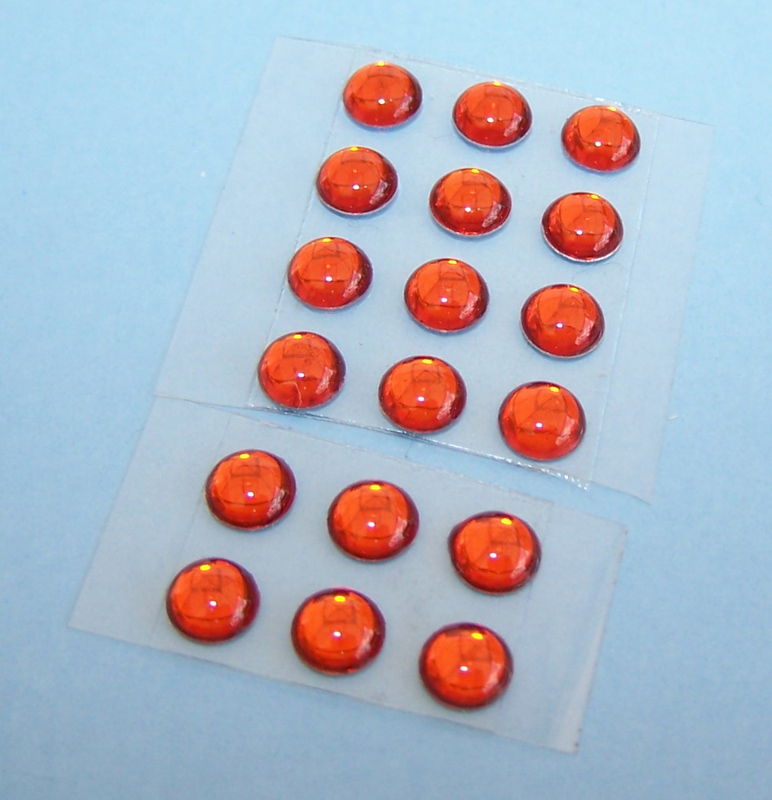 Set of 18, 5mm round translucent tail lights, see Auslowe L5 for rubber mounting bases. Set of 2 folding steps for trucks, trailers and fire trucks. 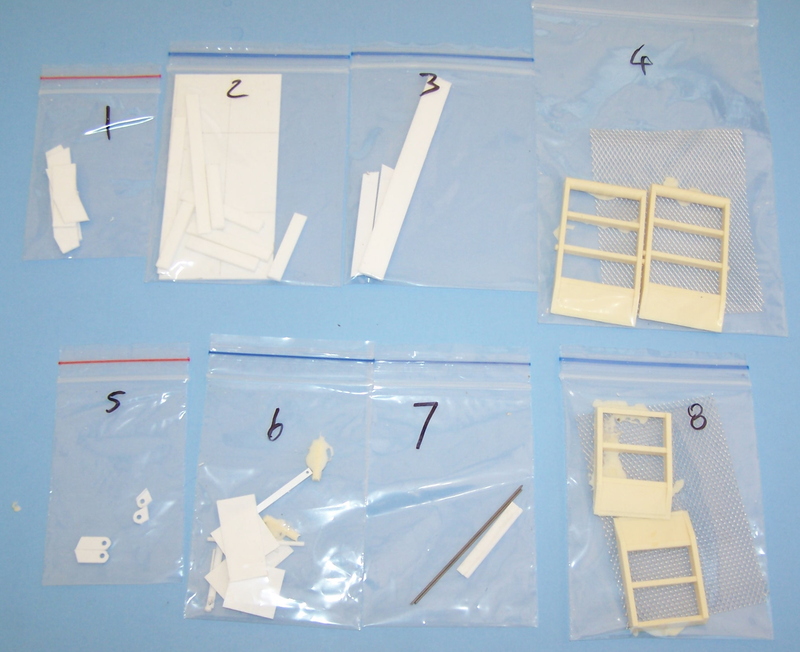 Steps are molded in the folded up position and do not actually fold down.